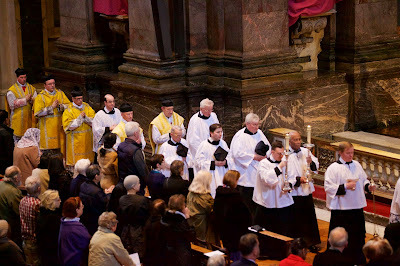 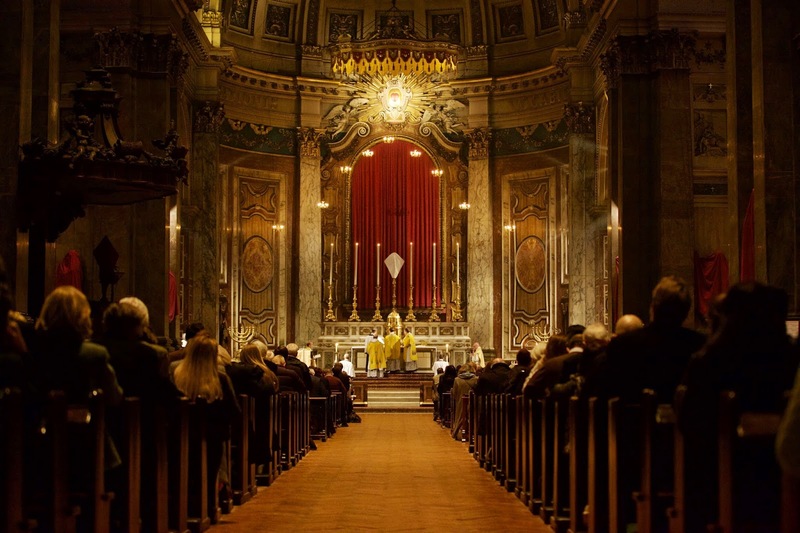 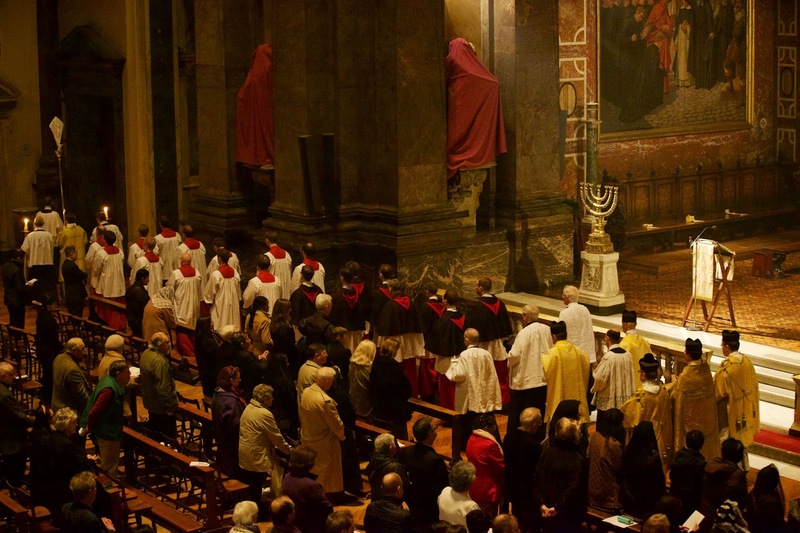 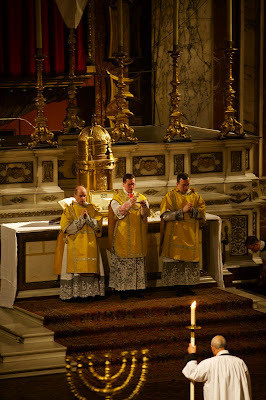 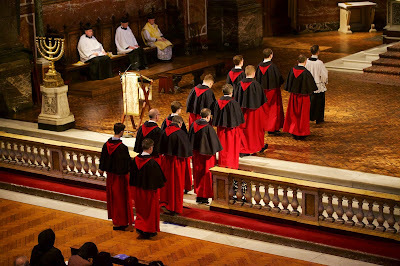 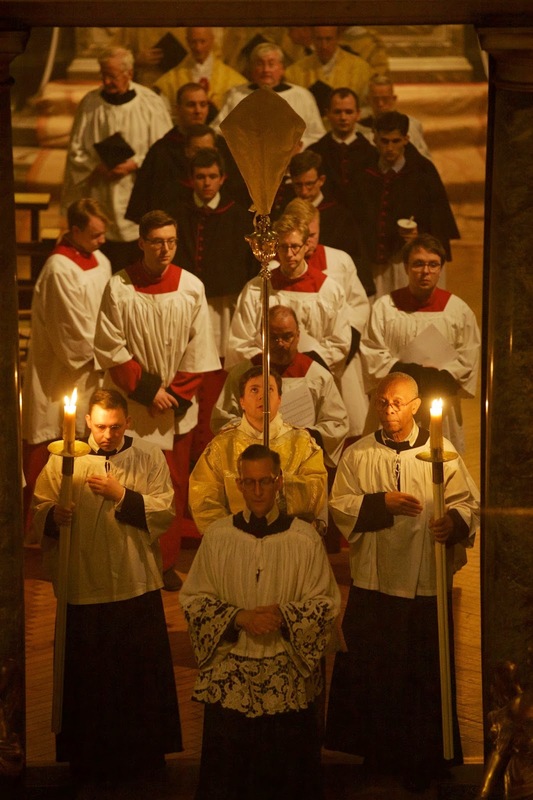 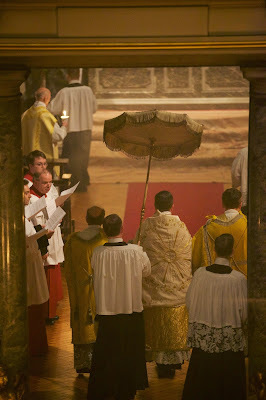 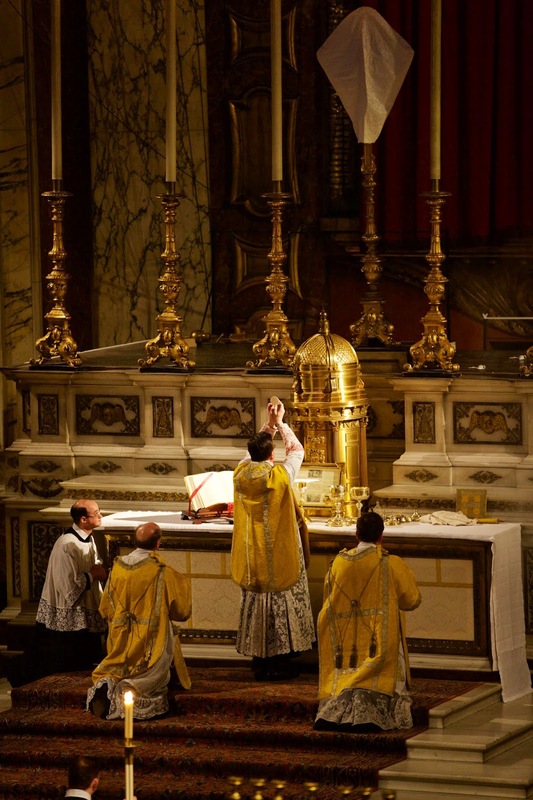 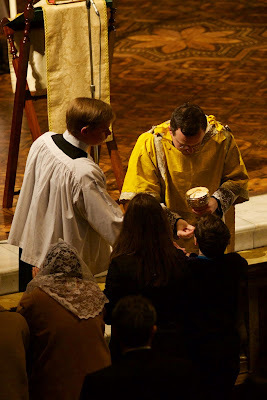 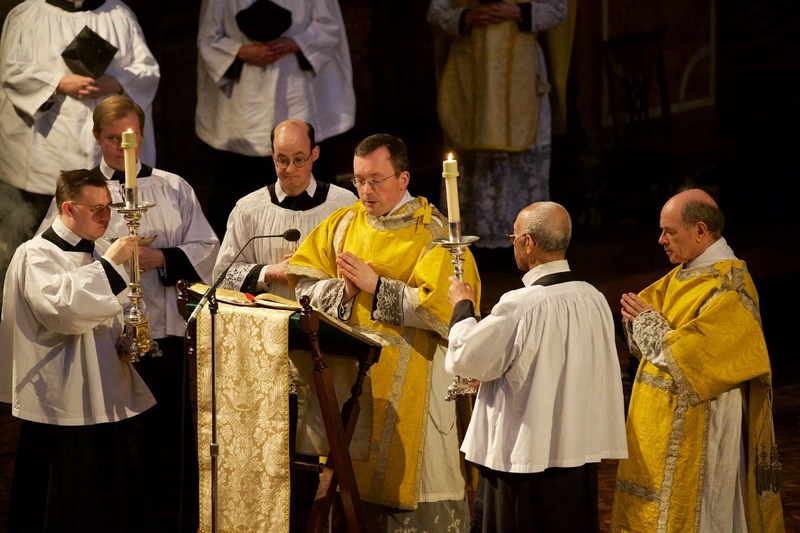 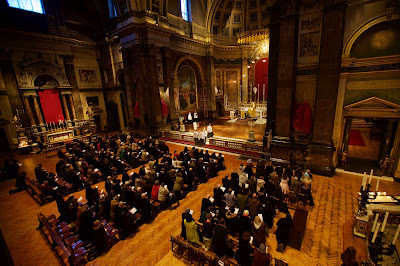 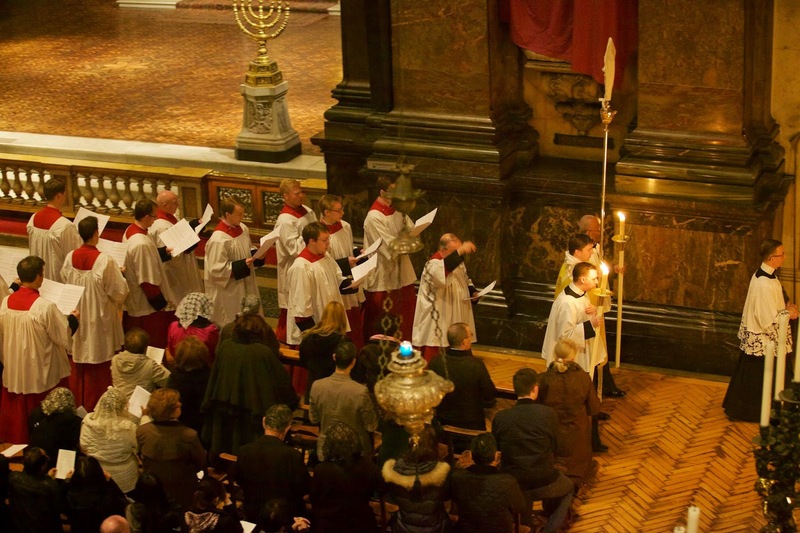 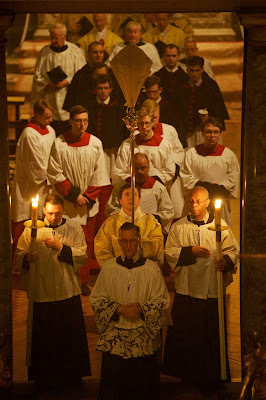 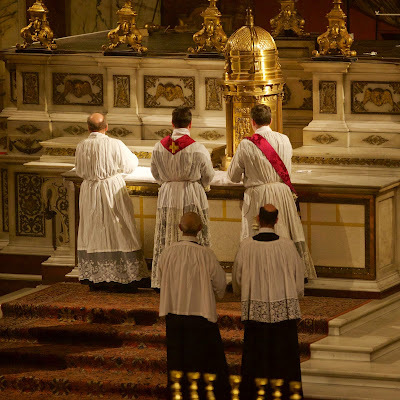 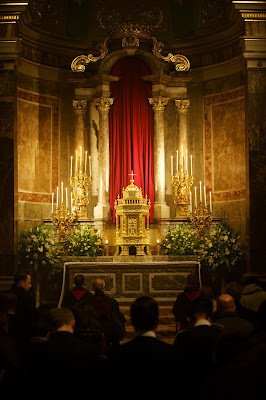 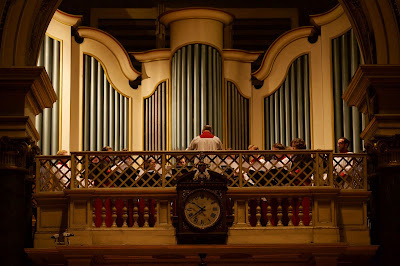 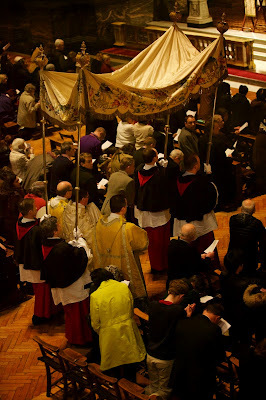 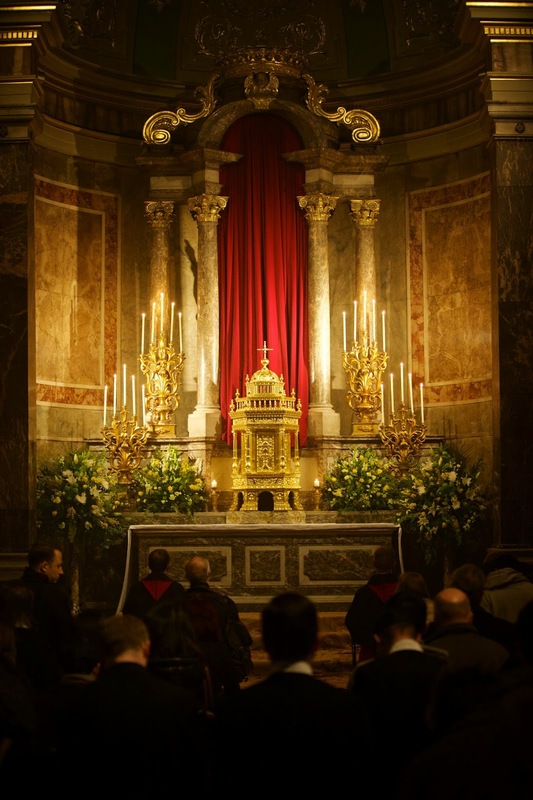 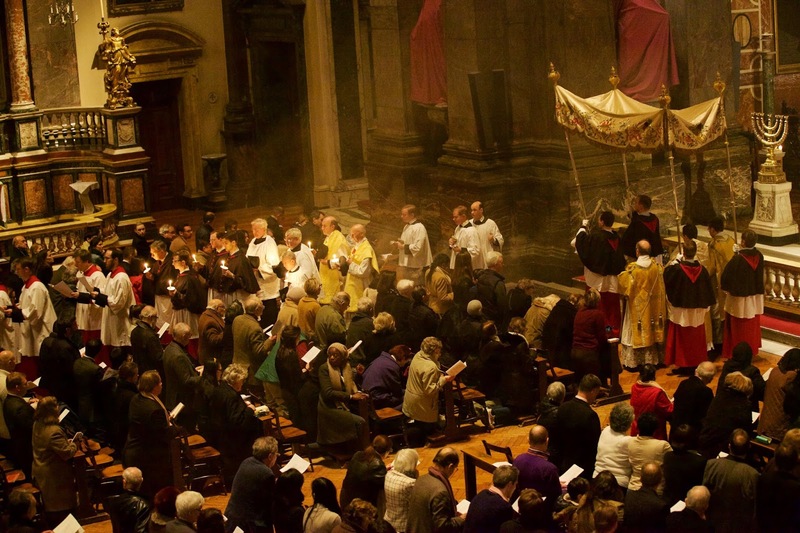 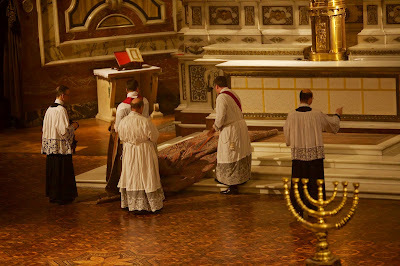 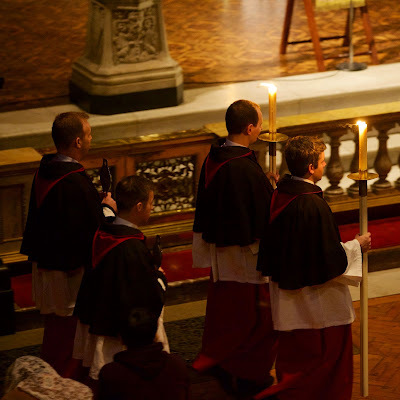 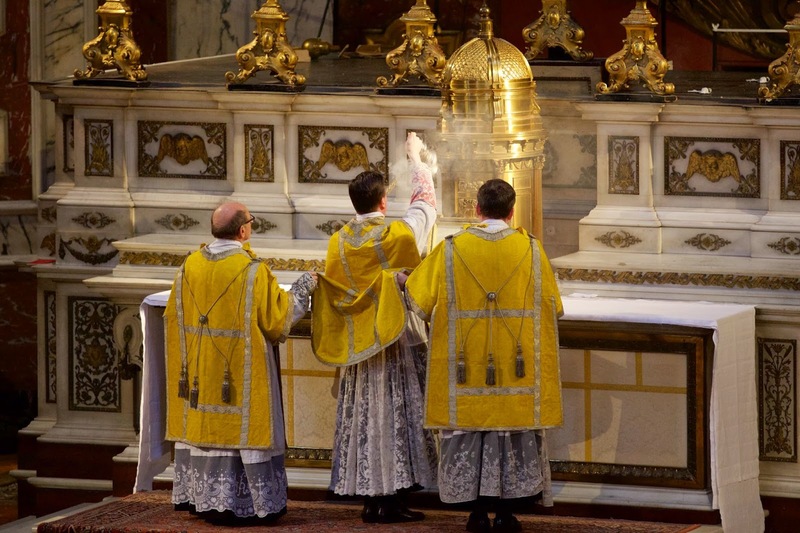 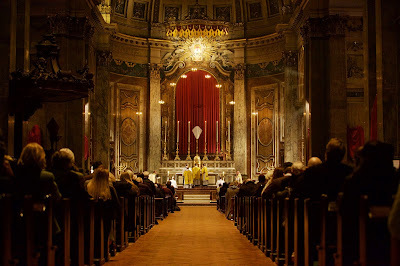 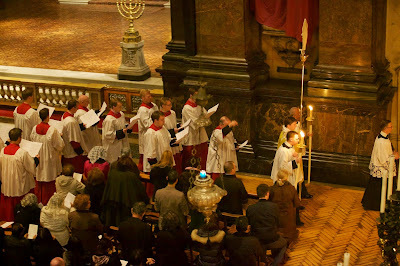 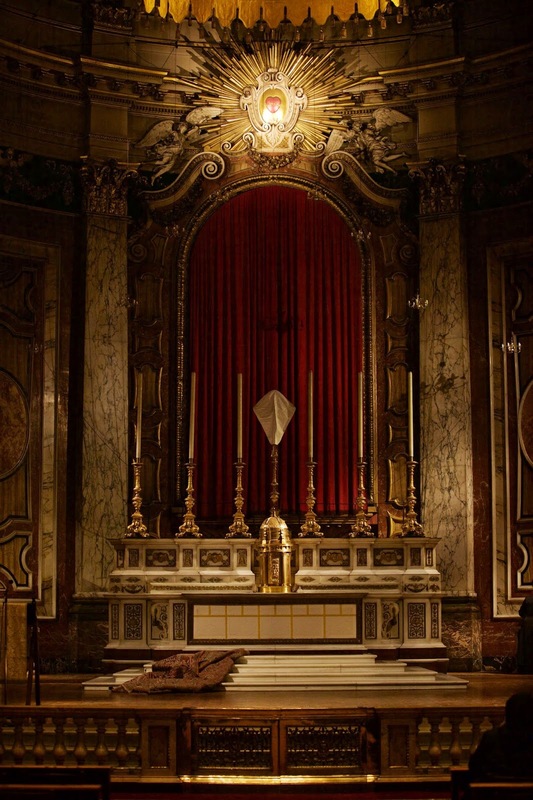 Here are some photographs taken at the London Oratory this evening. 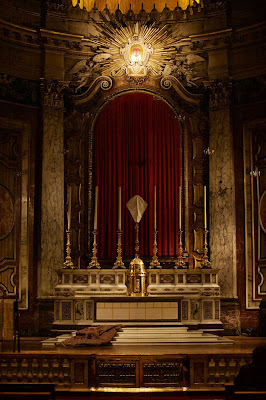 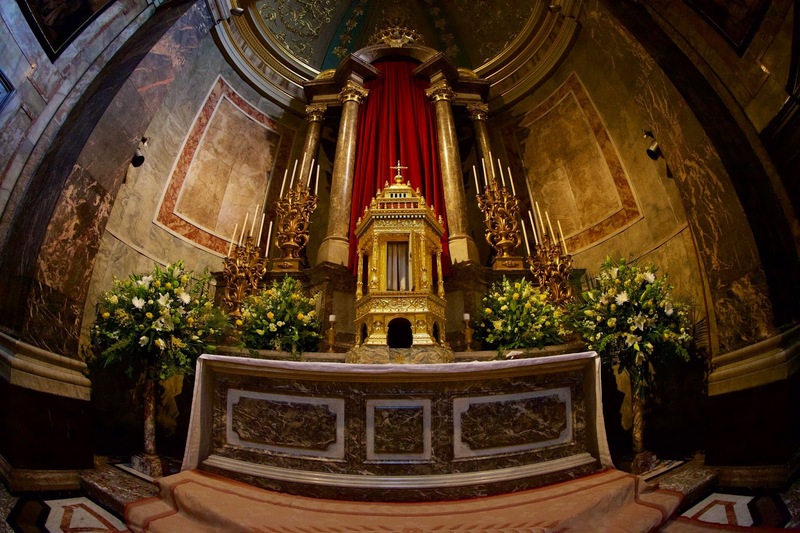 The first photograph, taken before Mass, shows the Altar of Repose in readiness for the Blessed Sacrament. 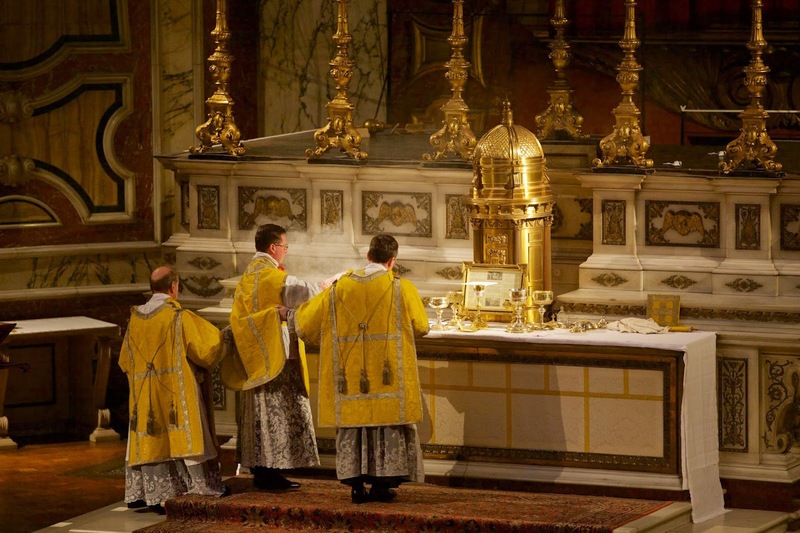 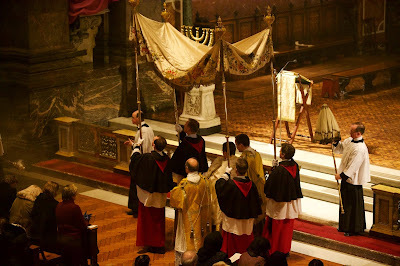 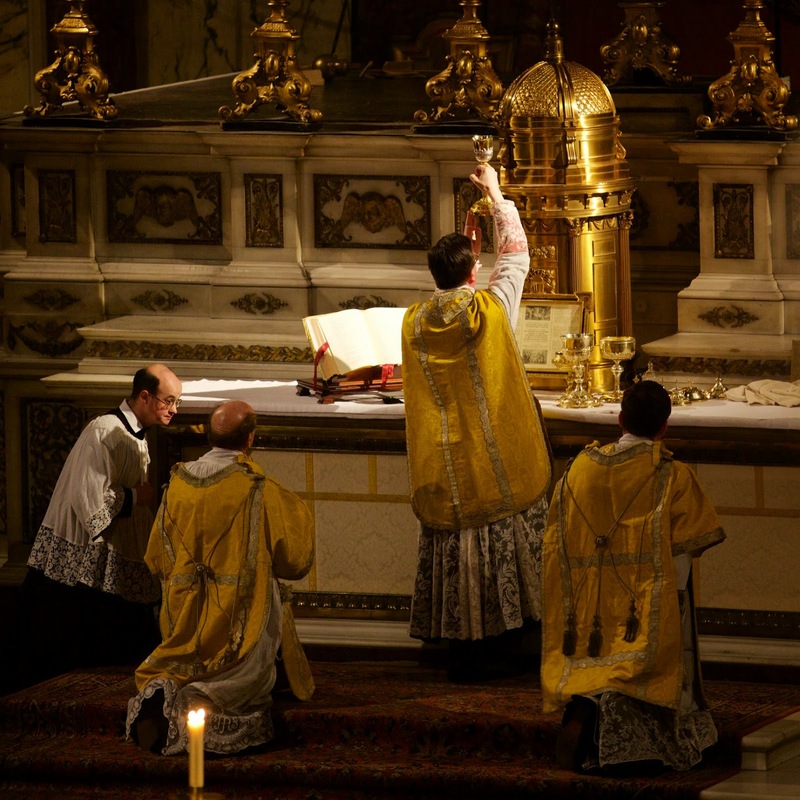 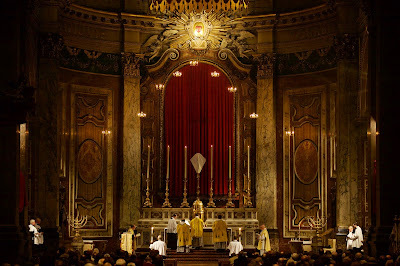 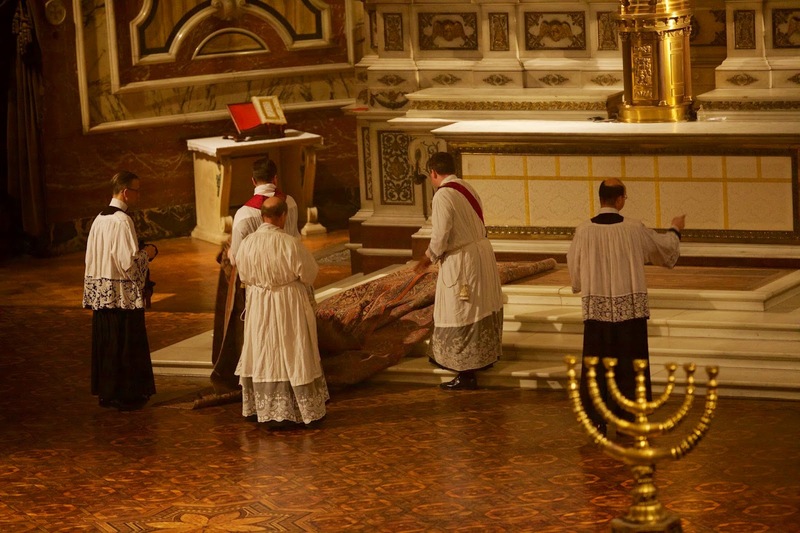 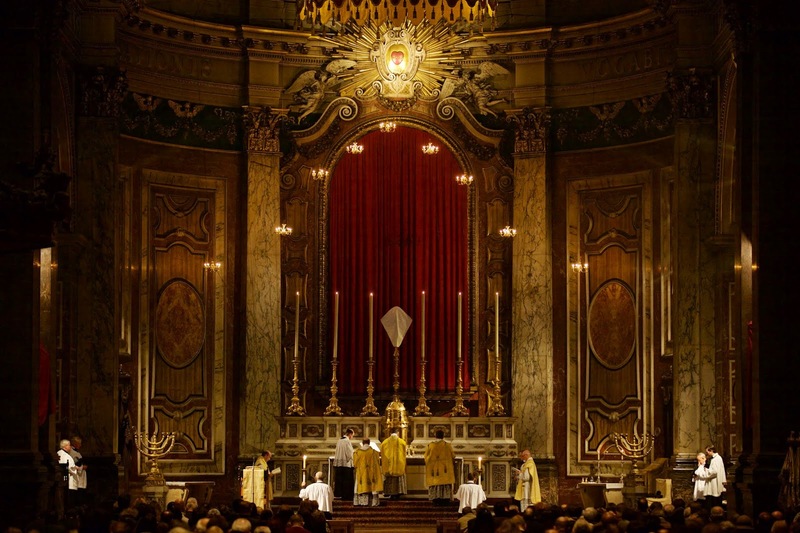 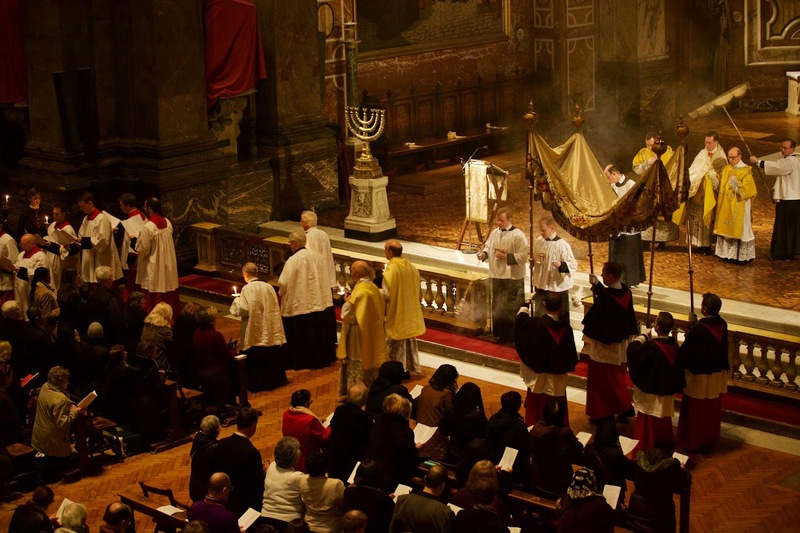 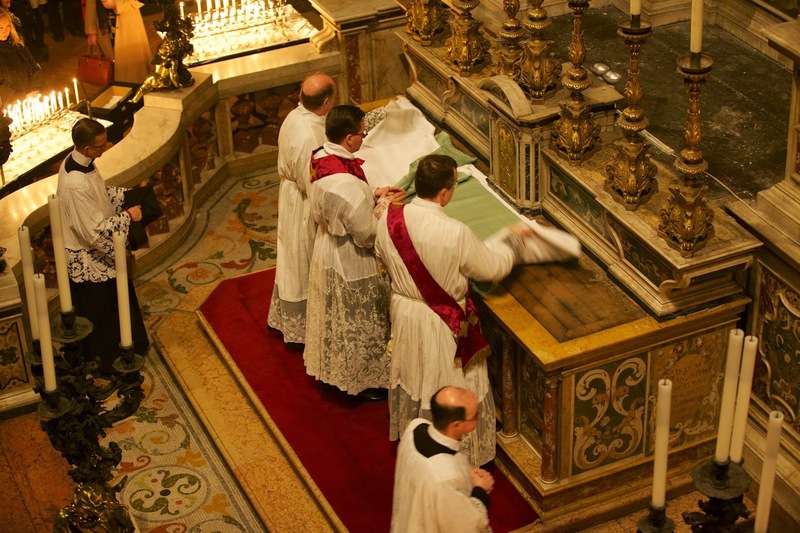 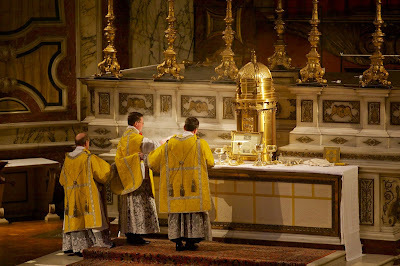 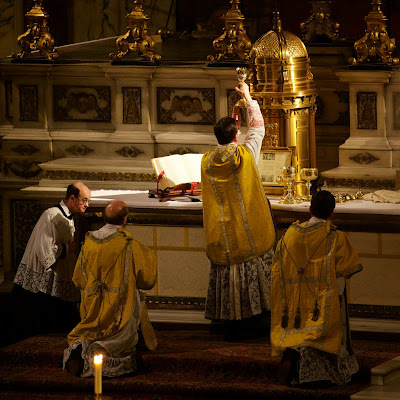 Photographs follow of Solemn Mass of the Lord's Supper, the Mandatum, the Procession to the Altar of Repose and the Stripping of the Altars.